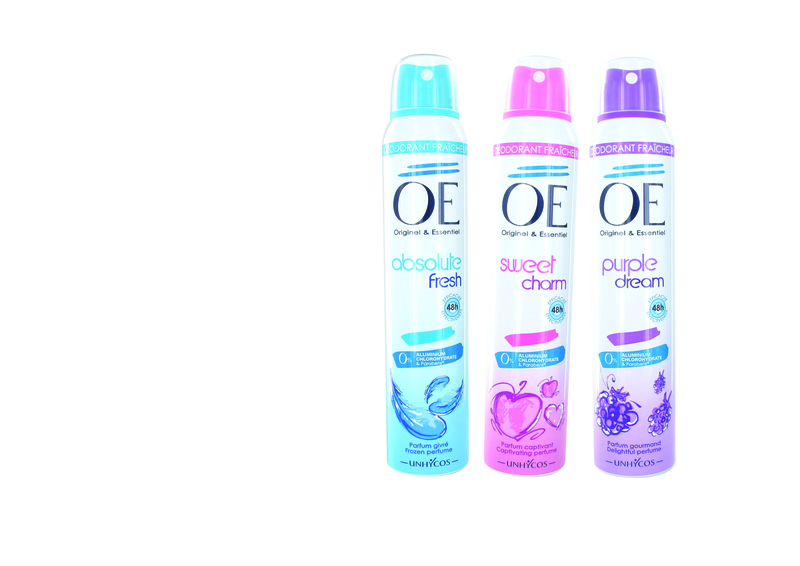 OÉ is a key player in the perfume deodorant and fragrance market. Since 1998, the brand has worked with great French perfumers and offers its customers delicate fragrances that transport them into real olfactory worlds. Our iconic range with “scented freshness” seduced women for several years. Each reference comes in deodorant spray, roll-on antiperspirant and eau de toilette. PARFUM INFINI : a refined, sophisticated range that stays like a real perfume could do it. In 2019, the range expands to continue to meet the current desires of consumers. 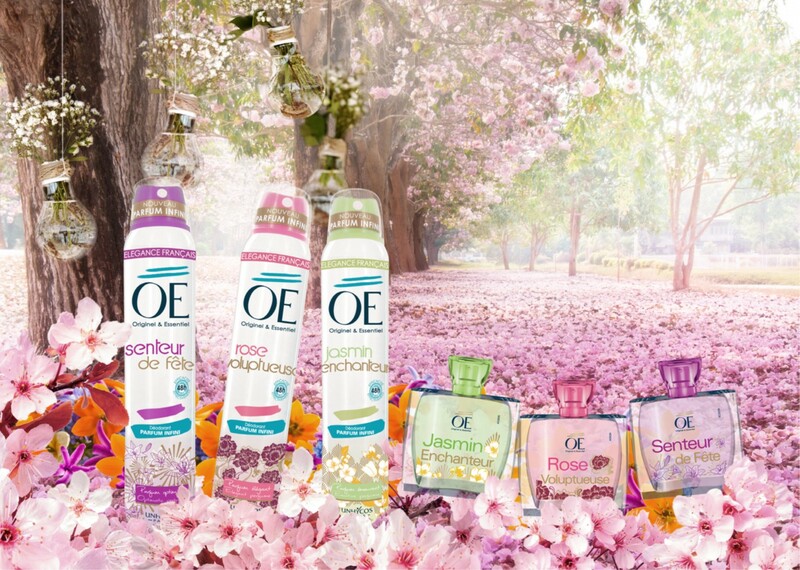 OE introduces very feminine scents with floral and fruity fragrances. A packaging with a very sparkling design and trendy colors dress every reference. The result is a range full of poetry and gaiety that will leave no one indifferent.